We said invisible wearables would be a big trend in 2016, and these press-on nails that work like an Oyster travel card for the London Underground are the latest example of how you can stylishly conceal smart tech. Designed by British student Lucie Davis, the nails pack in the same radio frequency identification (RFID) chip that's commonly found in Oyster cards and contactless payment credit and debit cards. This then allows you to tap in with your hand as the video below illustrates. Apparently Davis asked permission from the Transport for London to take apart an Oyster card to build it. The fashion student has already spoken to the TFL to potentially roll out the design for the masses of commuters and visitors to London to try out. It even comes with the iconic blue design that's featured on the cards. Davis designed the contactless payment nails as part of her degree in jewellery design at Central Saint Martins, a place we know all too well for its annual collection of weird and wonderful wearable tech concepts. This isn't the first example we've seen of fashion and wearable payments colliding. There's already two collections of TopShop's x bPay accessories while launched the Lyle and Scott's bPay jacket last year. Barclaycard recently launched Loop, a small strap that can clip onto most watches, smartwatches and fitness trackers to enable contactless payments. A recent report suggested that wearable payments would hit $100 billion by 2018. The Apple Watch already supports contactless payments via Apple Pay, while the Samsung Gear S2 now supports Samsung Pay. Fitbit also has plans to add wearable payments to its trackers in the future. 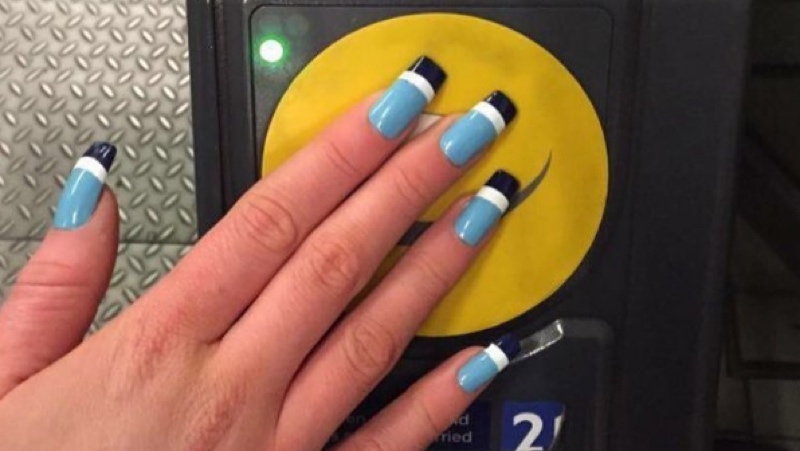 Would you wear something like the contactless payment press-on nails? Let us know in the comments section below.